Try these RumChata Chocolate Egg Pudding Shots for your Easter desert! A boozy, crazy tasty dessert that only takes five minutes! I’m always trying to get that “Wow” factor at a party. 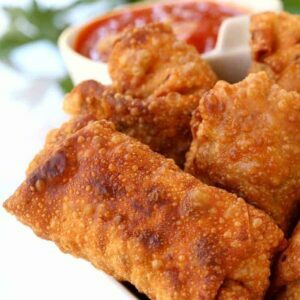 If it’s a last minute, everyone come over or a dinner party that we’ve planned for a while, I still like to do at least one thing that is going to impress my guests. 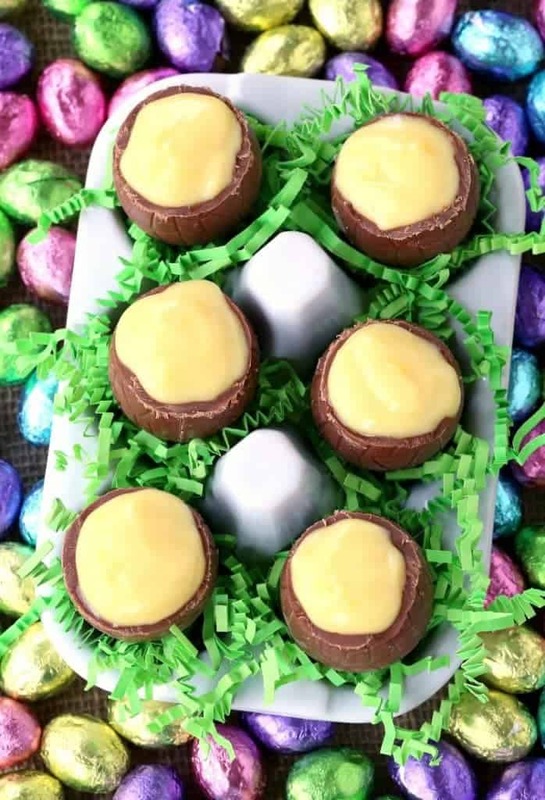 You can always go with the standard desserts like I have in this Easter Dessert list, those are always going to be good. 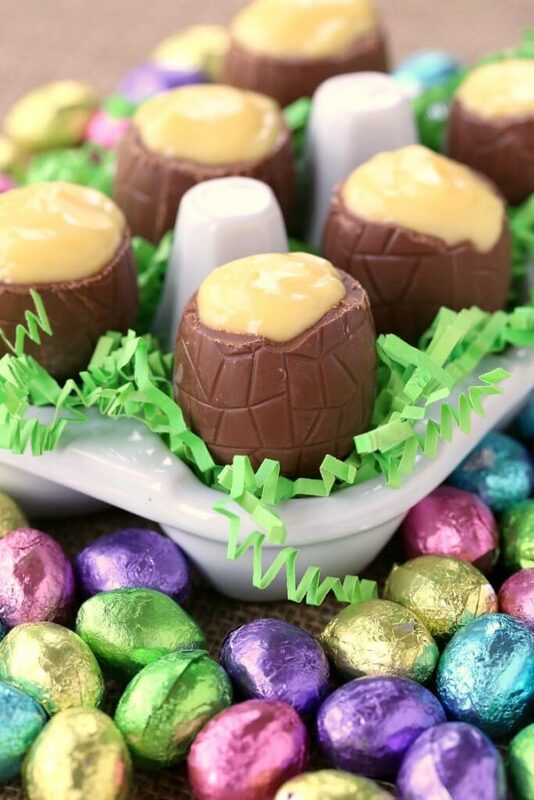 These RumChata Chocolate Egg Pudding Shots are perfect for nights like that. All you need to keep stocked in your cabinets are a few boxes of Jell-O instant pudding. Vanilla, chocolate, pistachio, banana, cheesecake…I think most flavors would work. Of course you’re going to need the RumChata too, we’ve got a few bottles on hand at all times for making lots of drinks, like these Creamsicle Champagne cocktails – perfect for Easter brunch! 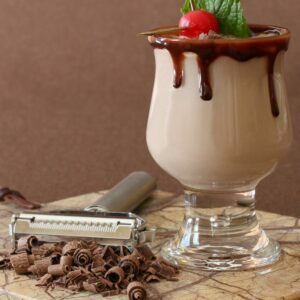 Sneak into the kitchen for 5 minutes and mix up a batch of the pudding, swapping out one cup of the milk for RumChata. Yep, it’s going to work, get one whole cup in there. 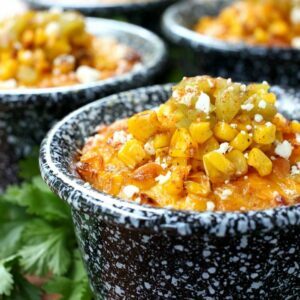 Whisk it up and it sets in just 5 minutes. Boozy dessert finished. You can put these in dessert cups or large shot glasses or even those plastic shot glasses if you’re making a lot. Because plastic shot glasses have their place. You’ve got to get it done, either you break out the plastic or you might not have enough to go around. 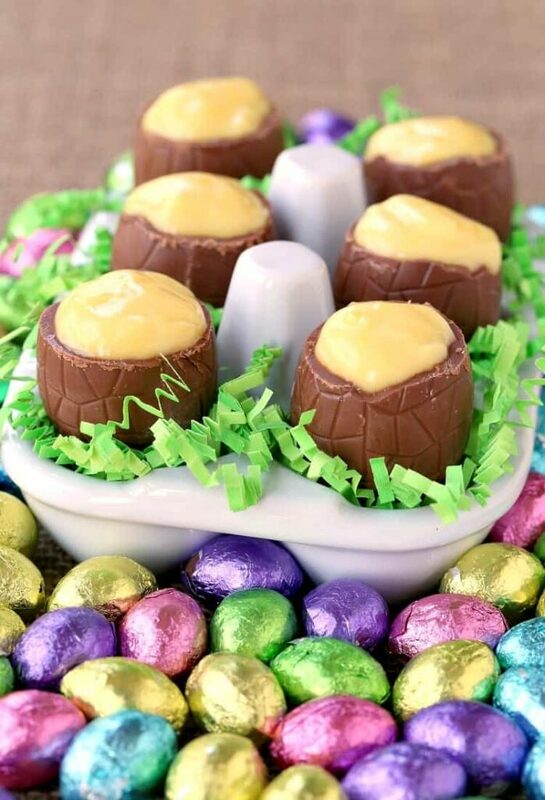 Because these RumChata Chocolate Egg Pudding Shots are so good, you definitely want to make sure you have plenty. Then fill them up with the boozy pudding. 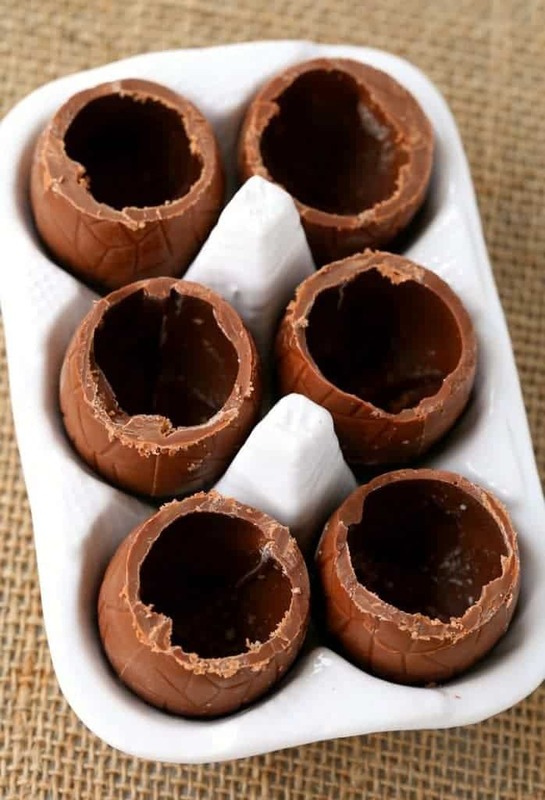 They sort of look like a homemade Cadbury Egg to me, a boozy Cadbury Egg. 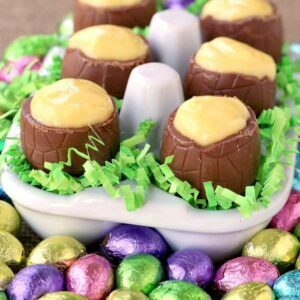 These RumChata Chocolate Egg Pudding Shots turned out so good and were so easy to make, they’re definitely going to be on the holiday dessert list! Add the instant pudding powder, the Rumchata and milk to a bowl and whisk for 2 minutes. Let the pudding mixture sit for 5 minutes until thickened.